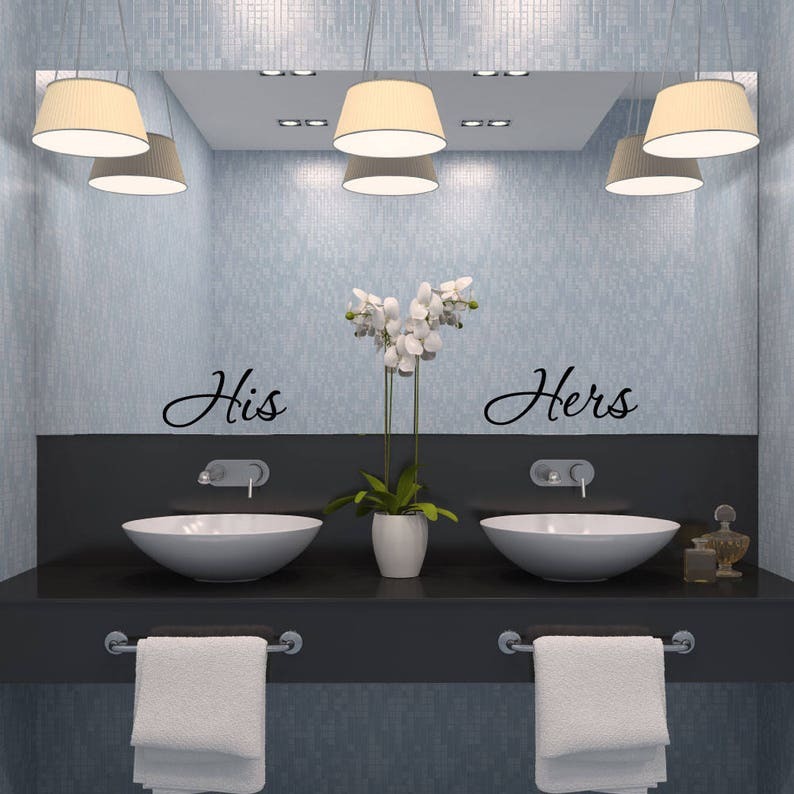 His and Hers - Bathroom Wall Decor - Everyone knows two sinks equal a happy marriage! 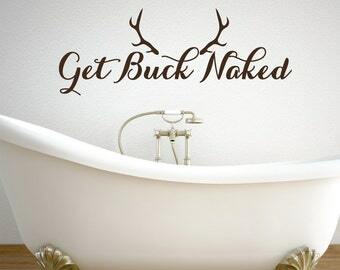 These wall decals will look great above each sink, above each towel, or even on each side of the bed. 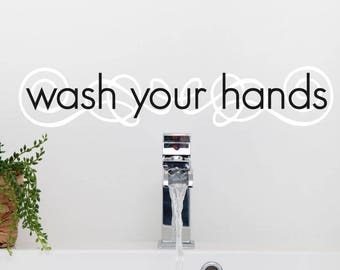 Our wall stickers work on any smooth clean surface, so place it on a wall, mirror, sign.. the possibilities are endless. A great addition to your bathroom decor or bedroom decor. Choose from several different sizes and many colors. The 24" width is approximately 9.15" tall. 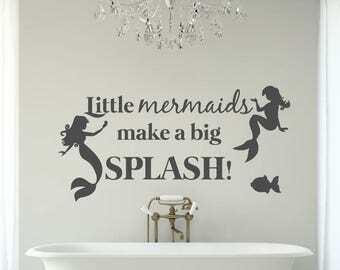 Our wall decals include instructions and a free applicator tool. Our decals are created from high quality vinyl that will last years both indoor and outdoor. We accept PayPal as our method of payment and all major credit cards. Taxes are charged for citizens of Wisconsin (5.1%). We accept exchanges for non-custom items. The decal must be shipped back to us (we will only pay for shipping if a mistake was made on our part) in order to receive an exchange. Unfortunately, we cannot accept returns or refunds for custom decals. This includes Monograms, family decals that include names or last names and custom quotes. We will send a free replacement if it is defective though. If you have already purchased a custom decal and want a refund, we can refund you 100% before shipment and before any designs are created for you. However, if you purchased a custom decal and we have already made designs for you, due to the hard work and time involved in designing, we do not offer refunds. Defects: Since wall decals cannot be 'returned' to us and we therefore cannot see the defect, we do need proof of the defect to issue a free replacement on a case by case basis. If there is a defect, please send a photograph to luxeloftwalldecals @ gmail.com. If a decal does not work and photographic evidence proves this, we will send a replacement if we are notified of the defect within 60 days from the date of delivery. Decals that have not been installed for long periods of time after the purchase date whether or not they work cannot be replaced (over 60 days). If we did send the wrong color or the issue was our fault, we do not issue refunds but will absolutely send the correct decal for no charge. Our return policy is 60 days from the date of delivery. There is a 25% restocking fee for all returns and return shipping must be paid by the customer. Requests for a refund must be made within 1 hour of the purchase time. Once we receive orders, we package and ship them as quickly as possible to ensure fast delivery. If you're not totally satisfied, we'll work with you to work out any issues promptly. We want to make sure you love your decals! We ship all of our items USPS in sturdy cardboard boxes or well packaged envelopes (whether we use a box or an envelope depends on the size of the item). International items are shipped first class mail to save you money on shipping but if you need your item sooner or prefer priority mail please let me know. If you'd feel safer with insurance, please contact me. Luxe Loft makes custom decals in any size. We also offer bulk discounts and are open to wholesale orders.